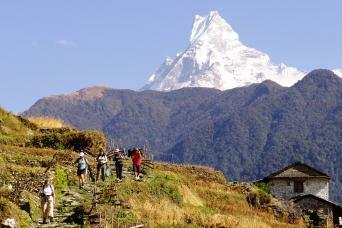 Nepal trekking holidays are one of life's precious experiences. 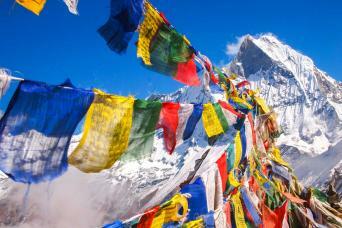 Surrounded by the Himalaya, the towering snow-capped peaks, the prayer flags fluttering in the breeze, the sound of yak bells ringing mingles with the sonorous chants of Buddhist monks in the morning air and the warmest of welcomes at every village. Macs Adventure specialise in organising trips to the Himalayas, whether it be tailor made treks in Nepal or an adventure holiday in Nepal you can trust us to organise this special experience, an experience that will be treasured for years to come. Choose from a range of treks and walks in the Annapurna region, Everest region or perhaps one of our luxury treks in Nepal. We have carefully selected and researched our favourite walks so whatever your interests we can arrange your ideal walking holiday in Nepal. 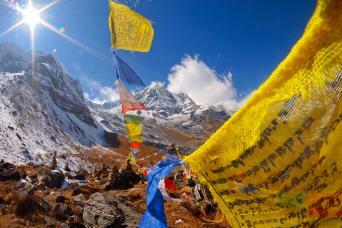 Explore the Annapurna and Everest regions in style, trekking between the comfort lodges in 2 weeks. Discover the magic of trekking in the Nepal Himalaya on an easy going trek through the Annapurna Foothills between comfort trekking lodges. Magnificent mountain vistas, charming mountain inns and first class service. Experience the classic Himalayan trek to Annapurna Sanctuary staying in Ker and Downey’s comfort trekking lodges and hand picked local trekking lodges. 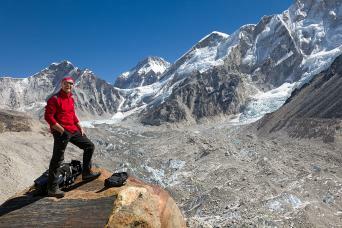 Experience the home of the Sherpa people, and the gateway to Mount Everest, on this short trek into the spectacular Everest region of the Nepali Himalaya. 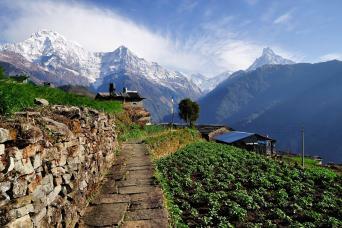 The lodge trek to Annapurna Base Camp and the Annapurna Sanctuary is one of the classic treks in Nepal. 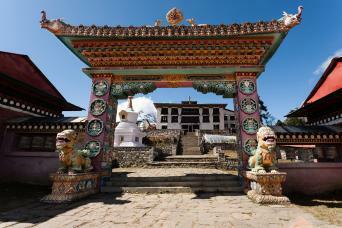 Magnificent mountain views, comfortable trekking lodges and immersive sherpa culture. 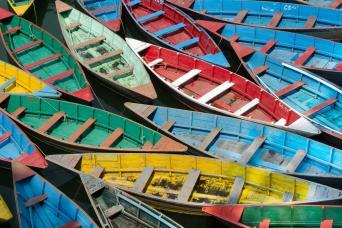 Kathmandu, a short trek in the Annapurna foothills, Pokhara, Bandipur and Chitwan National Park. Experience Everest Base Camp, Kala Pattar, Namche Bazaar, Tengboche Monastery and Kathmandu on the classic lodge trek from Lukla to Everest Base Camp. 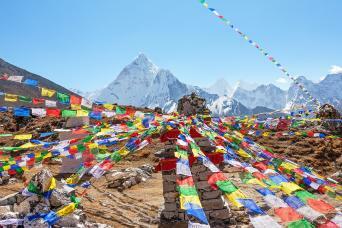 Trek to Everest Base Camp staying in luxury trekking lodges and the best available local lodges. Experience Everest Base Camp, Kala Pattar, Namche Bazaar, Tengboche Monastery and Kathmandu on one of the world’s finest treks.